Michael Pieper's $1.9 billion (sales) Artemis Group controls the Aarburg, Switzerland-based Franke Group, well-known maker of kitchen sinks and hoods, cooking appliances and other industrial-grade kitchen equipment. 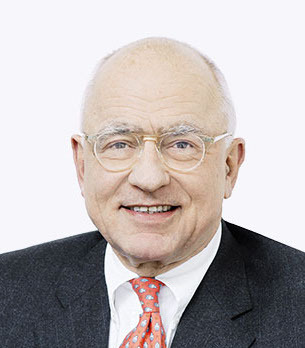 Pieper is the CEO and sole shareholder of the group, which was founded in Rorschach, Switzerland in 1911 and acquired by Michael's father, Will, in 1975. Michael took over in 1989, expanding the company into eastern Europe, Asia, Africa and the Americas. Artemis also owns a majority stake in a precision cutting technology company called Feintool Group, real estate in Switzerland and teak plantations in Costa Rica and Nicaragua. Michael Pieper has owned Franke since 1989 and was CEO/President Franke Group from 1989 until 2012. Prior to joining Franke, Michael Pieper worked several years in the US in different positions in banking and industrial companies. He holds a Master degree in Business Administration from the University of St. Gallen, Switzerland (lic.oec.HSG). Michael Pieper is a board member of several Swiss companies including Forbo, AFG, Autoneum, AdvalTech, Rieter, Hero and Berenberg Bank AG (Switzerland).